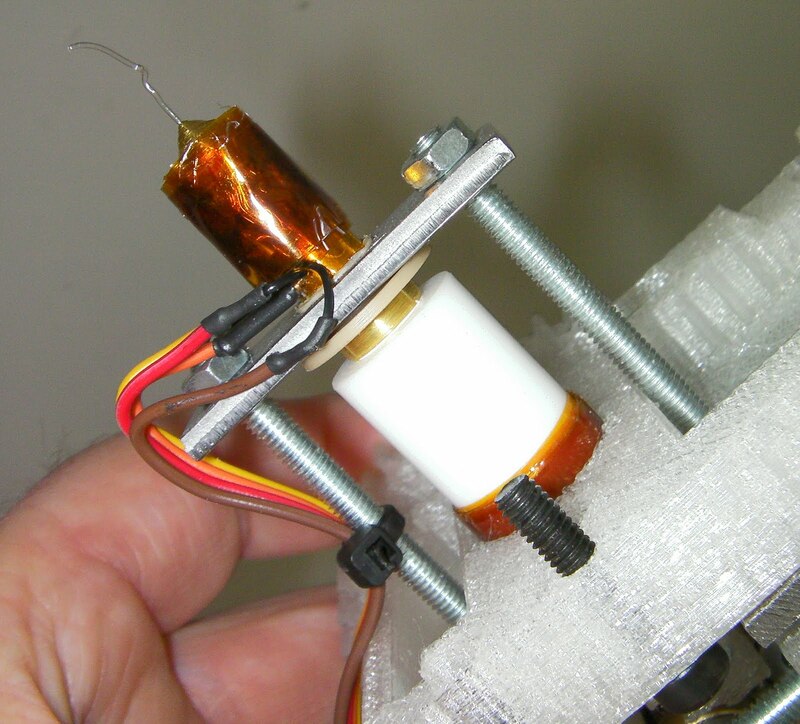 I've just done a new RepRap release at Sourceforge. This will probably be superseded quite quickly (we are in the process of standardising the M Codes used to drive the machine, which won't take long). The host software now runs an awful lot faster when it is slicing RFO files and STL files. This is because I removed something that, in my ignorance, I had thought would make it run faster, but which experimentation has now shown had the opposite effect: I had put a finalize() function in all the geometry classes. That seemed reasonable - give the garbage collector a bit of a hand to tidy things up. But what it actually does is to subvert the garbage collector and to put unreferenced memory into a queue for later removal; a queue that rarely - if ever - seems to get acted upon. If someone can explain why this is a good idea, I'd love to hear it. The algorithm it uses to find outlines of slices has also been changed to Marching Squares, which seems both more reliable and faster. The new software now also supports heated beds. 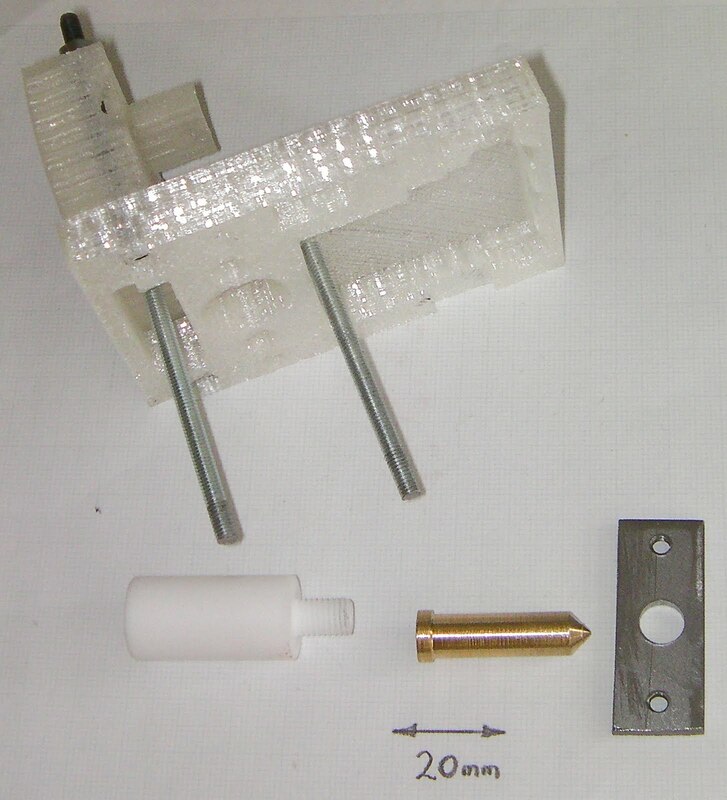 A while ago Amberish Jaipuria did some preliminary RepRap experiments with inkjets - details are here. And before he left, Ed was always saying, "I think inkjet is the way to go." It would certainly be nice to be able to lay down waxes, resins, conducting ink and all the rest in a RepRap with the fineness and precision that inkjet could give. We would probably want to use Epson inkjets, which use piezoelectric mechanical pulses to eject the ink drops. All the other systems boil the ink by resistive heating in a tiny chamber to eject it. The piezoelectric systems will obviously be more tolerant of funny polymers and the like, which might not take kindly to being boiled. 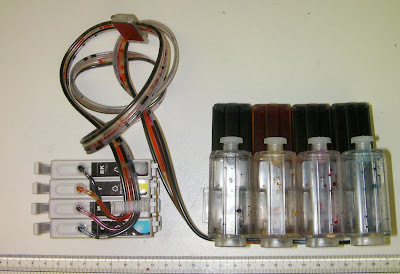 Recently I have been looking at continuous ink systems. These replace the normal (and horribly expensive) inkjet cartridges with a tank-fed system that holds 100 ml or more. And they're cheap - the four above cost me £13 in total including postage from these people. You get the tanks, the feed tubes and the hacked recycled cartridges for that. I say hacked, because the cartridges are chipped to report emptiness to the printer - this is how the manufacturers try to prevent you doing re-fills. These report "full" all the time, I think. So to the $64,000 question: I have done a good bit of searching for the electronic incantations that need to be sent to the piezoelectric heads taken out of an old Epson printer, and I have drawn a blank. What's needed is the Epson equivalent of this excellent HP Inkjet book by Matt Gililland. I could prod about in the printer with a scope, of course, but it would be nice to have something authoritative. Does anyone know what pulse-timing patterns and voltages Epson piezoelectric heads need?